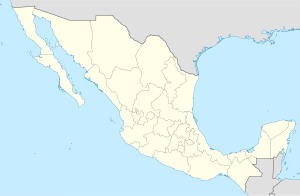 Otáez is a town and seat of the municipality of Otáez, in the state of Durango, north-western Mexico. As of 2010, the town had a population of 871. ^ "Otáez". Catálogo de Localidades. Secretaría de Desarrollo Social (SEDESOL). Retrieved 23 April 2014. This article about a location in the Mexican state of Durango is a stub. You can help Wikipedia by expanding it. This page was last edited on 28 March 2017, at 04:43 (UTC).